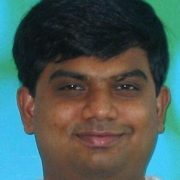 I am a Principal Researcher in the Research in Software Engineering group at Microsoft Research. My research focus is on scalable analysis of concurrent systems. More broadly, my interests include systems, program analysis, model checking, verification, and theorem proving. I spend a lot of time at Microsoft building analysis tools to improve the productivity of software developers and testers. I obtained my M.S. and Ph.D. at Stanford University, where I worked under the guidance of Prof. David L. Dill and Prof. Dawson Engler. Before that, I got my B.Tech. in Computer Science from the Indian Institute of Technology (IIT), Chennai (which was then called Madras).